How Do Your Email Open Rates Measure Up? Home•How Do Your Email Open Rates Measure Up? Email open rates have been slowly but steadily dropping across the nonprofit sector. If you've noticed the same with your email strategy, you're not alone. This doesn't mean you should stop sending emails. It just means you may just need to adjust your expectations and sharpen your messaging. Here’s a bit of a trend analysis based on the 2017 M+R Benchmark Study. The 2017 M+R Benchmark Study is a good point of reference for organizations wondering how their open and click-through rates stack up to others in the nonprofit world. The following stats are pulled from their energetic and always insightful survey of 113 nonprofit organizations. Though audiences are expanding, email open rates for nonprofits (and most companies across the board) have been dropping, with nonprofit open rates averaging around 15% in 2016, down 7% from the previous year. This number fluctuates somewhat by nonprofit sector, and advocacy emails usually get more opens than fundraising emails. People just have more and more emails in their inbox, and not enough time to read through all of them. So what does this mean? Some of these trends seem contradictory. We see that supporters are giving more online, and while open and response rates to email fundraising pitches are in decline, email is still one of the most effective ways to get people to give online. Like the M+R analysts, we believe that all multiple channels (email and social media) work together to build trust, engagement, loyalty and interest in a nonprofit that eventually pays off, though not always explicitly as an email response. This is true in spite of the study’s dreary stats in fundraising email responsiveness. For a bigger picture overview, this infographic summarizes other key findings from the 2017 M&R Benchmarks Study. As you can see, response rates for advocacy messages declined by 17% to 1.6% and fundraising messages from 8% to only 0.05%. In an age where we're continuously bombarded with pitches from mobile game apps to Instagram ads, standing out and snagging that conversion is proving increasingly difficult. But that doesn’t mean email marketing is DOA. Instead, it's now one of the many tools on your marketing belt used alongside social media, paid ads, SEO and more. Nonprofits still report significant donations coming in after email campaigns. With a comprehensive trend-driven strategy, lower email engagement doesn't haven't to mean lower engagement overall. It simply means that nonprofits must diversify and engage users in all aspects of their online experience. Social media keeps booming! Facebook has grown 23%, Twitter 50% and Instagram a massive 101% and nonprofit audiences have doubled since 2015. The web conversion rate, or website visitors who completed in making a gift, was up nearly 8%. Email lists continue to grow. Building upon a huge 16% growth in 2015, nonprofit lists grew another 10% last year. Revenue from monthly giving grew by 23% and outpaced one-time gift revenue in every sector except Public Media. So what’s the bottom-line, take-home message here? You’ve surely seen that your open rates fluctuate greatly depending on your subject line and topic. But if your overall average is above 15%, you’re holding your own in this era of crowded inboxes and tough competition from other nonprofits. If your open rates and click-through rates are below 14%, then we encourage you to read our tips on how to create enticing emails for ideas on boosting your results. If your open rates are above 20% then, congratulations! You’re doing a bang up job of engaging your supporters. 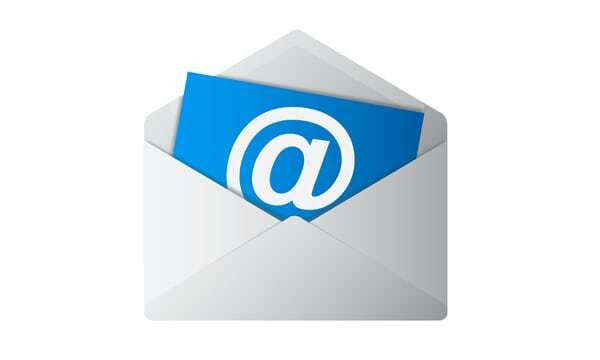 Try different approaches to your subject line and see what gets the best results. And check out this article for more ideas. Best of luck!